Many people don’t know how to clean gold plated jewelry and end up ruining it. Gold plated jewelry is a popular choice nowadays due to its versatility, elegance, and affordability. A fine golden necklace is the recipe for an elegant and stylish outfit. But if you want to maintain that beautiful style, you need to know how to clean gold plated jewelry. You have to be very careful with gold-plated jewelry because what you do matters as much as what you avoid. This is why we have created for you a comprehensive guide. Here you will learn how to maintain your necklaces, earrings, bracelets, and rings so that they look as new. The first thing you have to understand is that there is a big difference between gold-plated and solid gold jewelry. As a result, you have to clean and maintain your gold plated jewelry differently. Also known as gold vermeil, gold-plated jewelry is created by applying a very thin layer of gold onto the surface of the jewel. Gold is a fragile metal that can be easily scratched. In karat jewelry it is mixed with hardening alloy metals, making it more resistant. 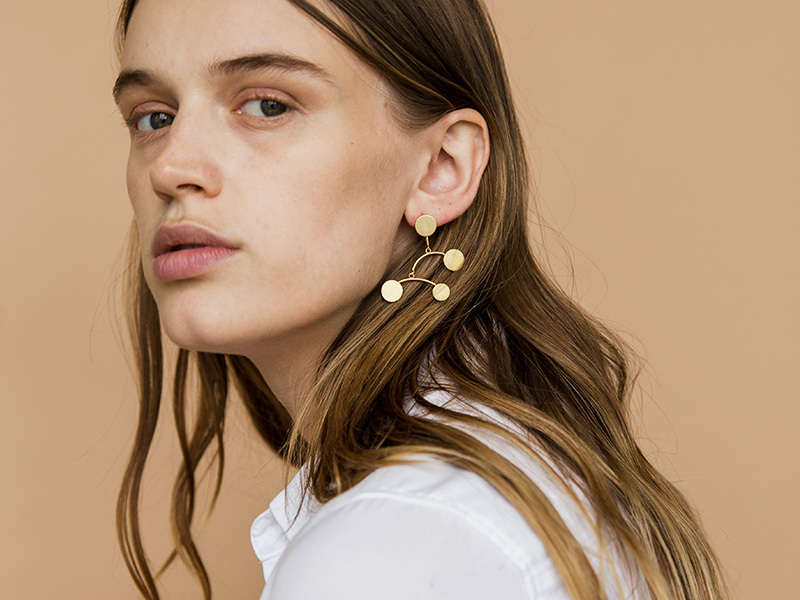 With gold-plated jewelry, you only have that thin layer. This is why gold plated jewelry is more susceptible to scratches and you need to know how to clean gold plated jewelry. One of the biggest mistakes people make when it comes to gold plated jewelry is not paying attention to the chemicals they are using while wearing the jewelry. You should never spray perfume while wearing your jewelry. The chemical substances in the perfume could interact with that very thin layer of gold we talked about. To be safe, wait for the perfume to dry on your skin before putting on your golden necklace or those fabulous gold plated earrings. Never put on your jewelry before your body lotion is absorbed into the skin. While creams and body lotions are great to maintain your skin, they are not so good for your gold plated jewelry. For the love of jewelry, never use nail polish remover while wearing your gold plated rings and bracelets. Seriously, nail polish remover is the no. 1 enemy of gold plated jewelry and so is nail polish itself. Avoid doing your nails while wearing gold plated jewelry. Don’t wear your gold plated jewelry while swimming. We know you want to look fabulous at that pool party you are going to, but the chlorine in the water will seriously damage your jewelry. The same goes for saltwater at the seaside. You can dazzle everybody with your beautiful jewelry at the beach, but remember to take it off before getting into the water. Don’t wear your gold plated jewelry while jogging or doing physical exercise. You probably don’t go jogging dressed in fine silk and covered in gold, but it can happen to forget that you are wearing your gold plated chain. The sweat is acidic and it can damage your jewelry so remember to take it off before exercising. Now that we covered what you shouldn’t do if you want to maintain your jewelry, let’s talk about what you should do. Avoid scratches by wrapping your jewelry in a soft cloth after wearing or cleaning it. 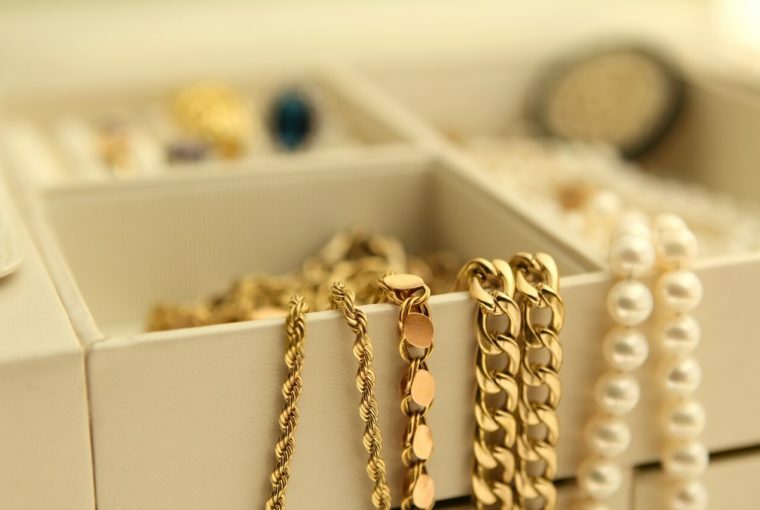 Prevent your gold plated jewelry from getting tarnished by keeping it separate from other types of jewelry that you may have. Re-plate the jewelry if the layer of gold has eventually worn off. You will have to do a little bit of research before to see which jewelers offer this service. The main idea is that even if your gold plated jewelry has gotten tarnished, it can be saved. Clean your gold plated jewelry regularly. Your jewelry is in permanent contact with your skin and, no matter how careful you are, perspiration will still get in contact with your jewelry. This is why you have to clean it periodically. Last, but not least, it is very important to understand how to properly clean your gold plated jewelry. The first step is to wipe it gently with a damp cloth. This way you will remove the surface dust and other substances. You can also use a polishing cloth (made especially for gold) to restore its shine and make your beautiful gold plated jewelry look as new. Gold dipped jewelry is high-quality and very durable if you take care of it properly. You just have to keep in mind the dos’ and don’ts and your jewelry will always look and feel amazing.